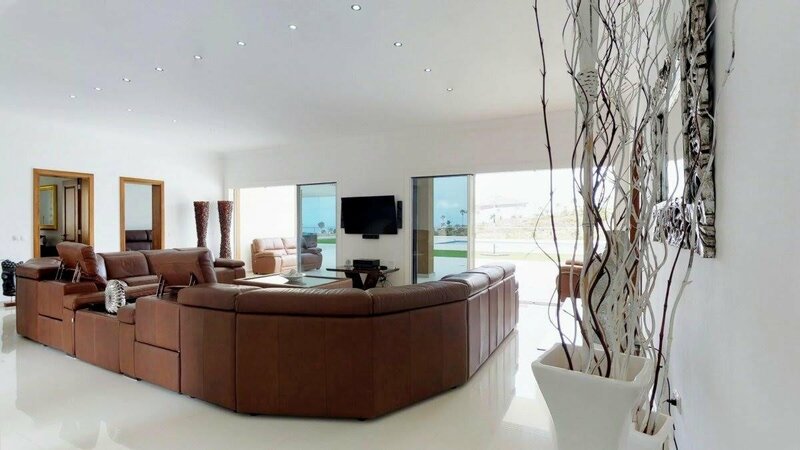 From time to time the privilege arises to purchase a one-of-a-kind property. 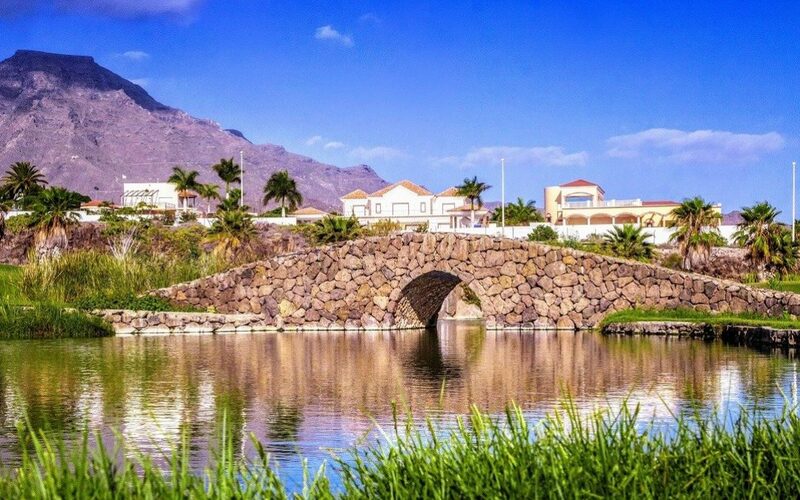 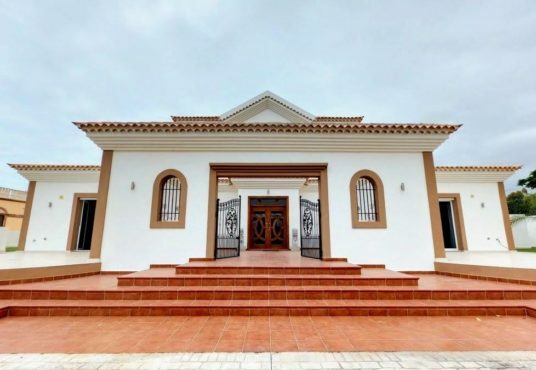 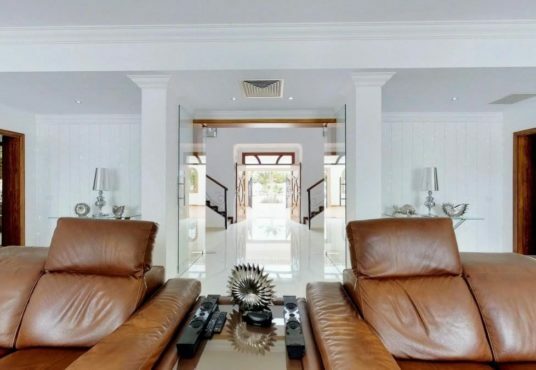 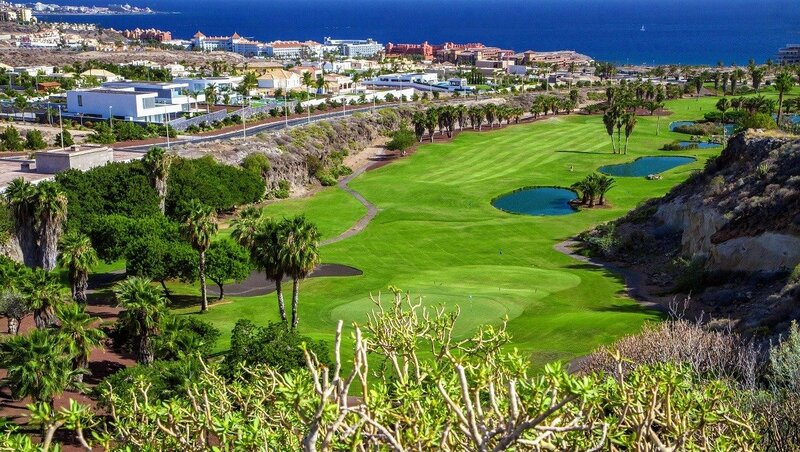 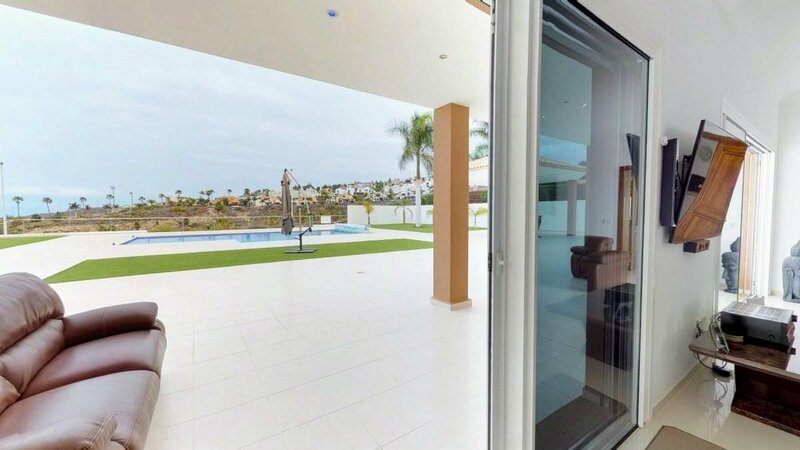 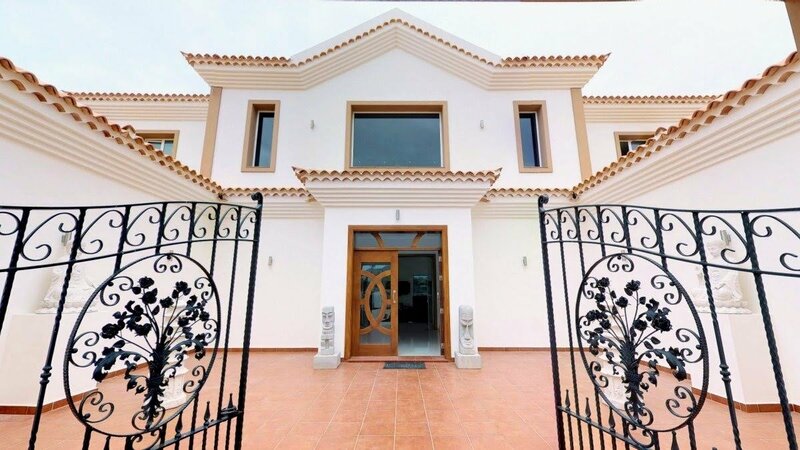 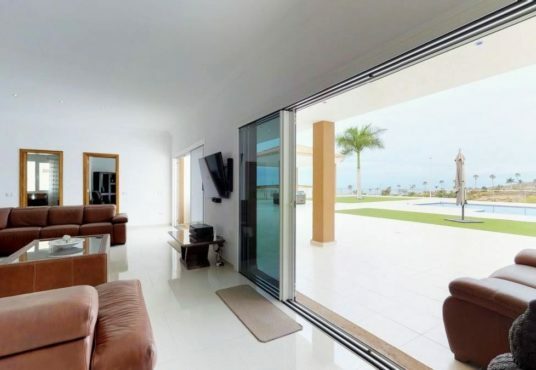 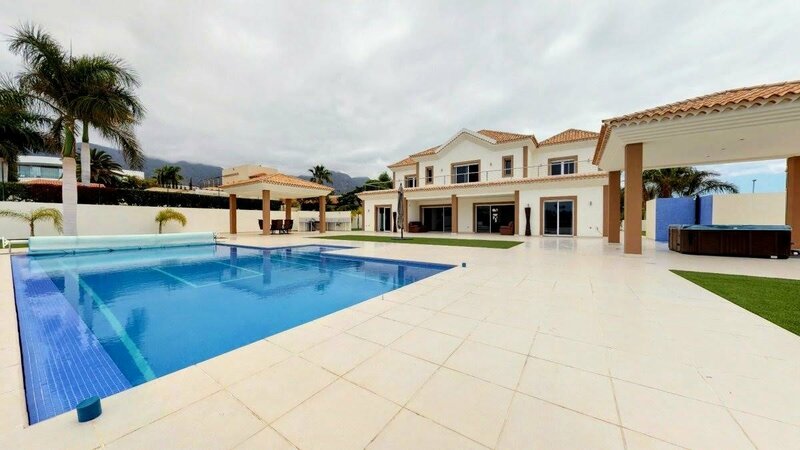 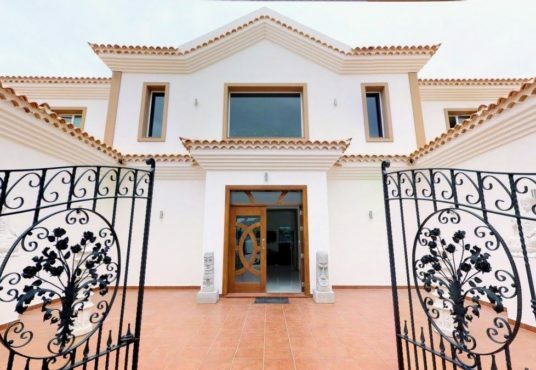 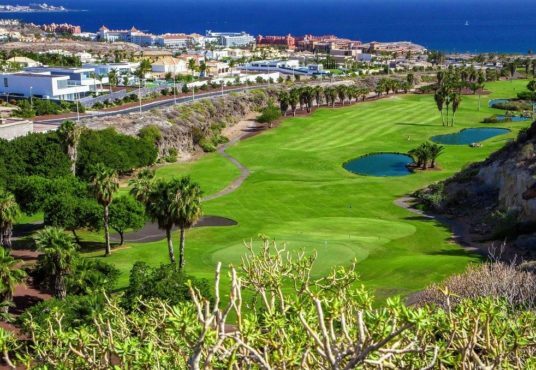 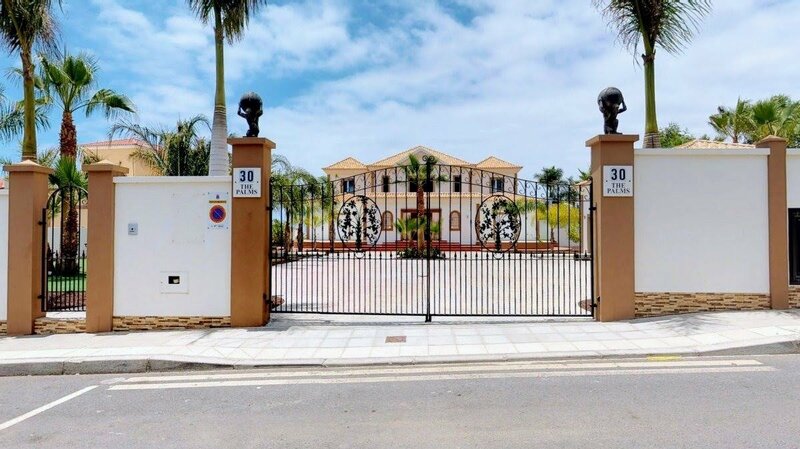 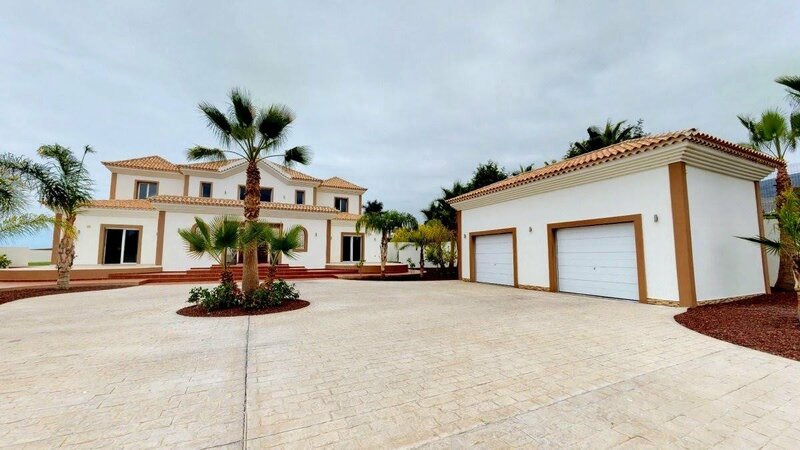 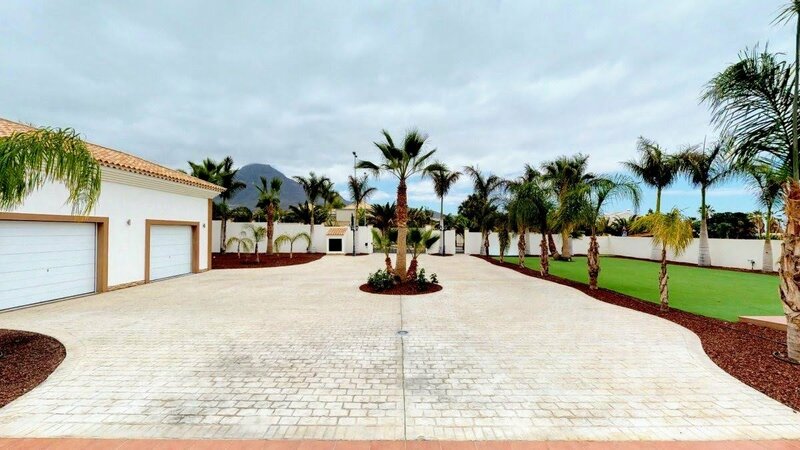 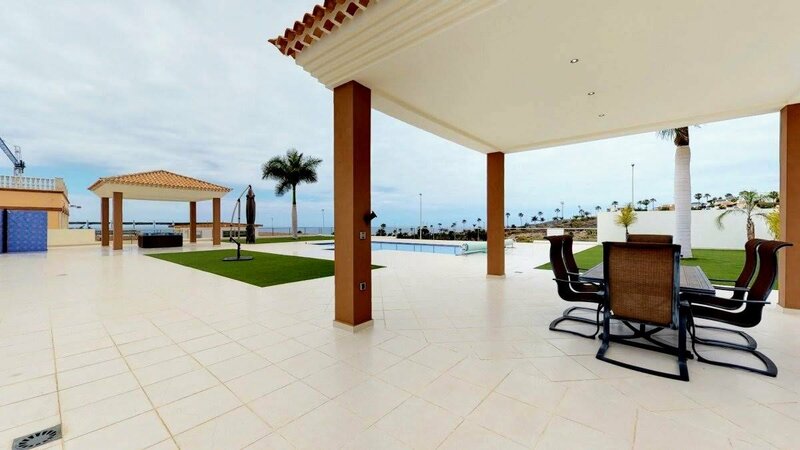 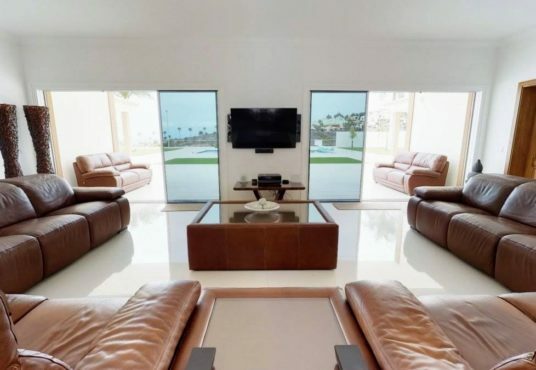 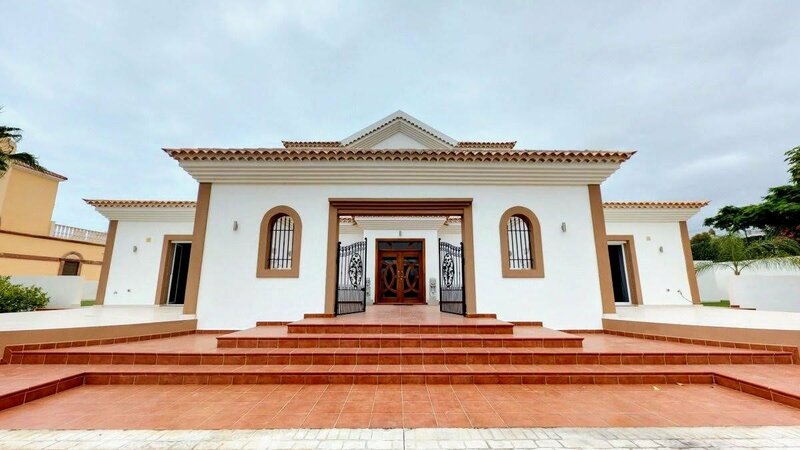 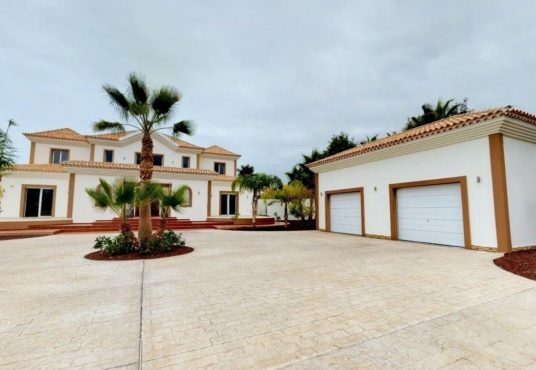 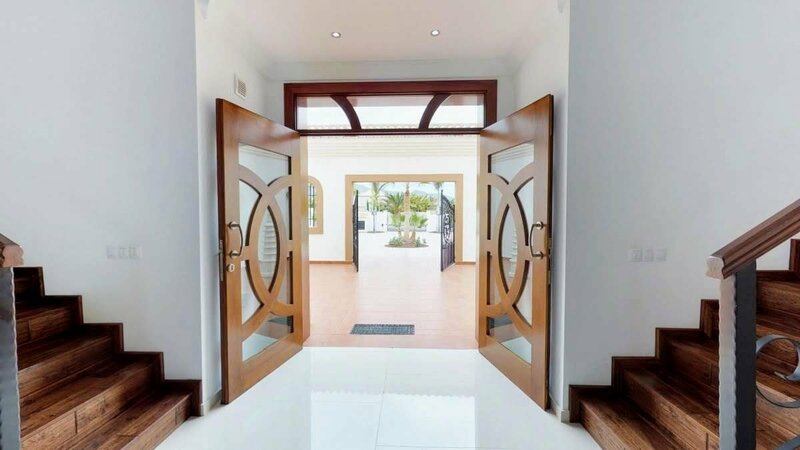 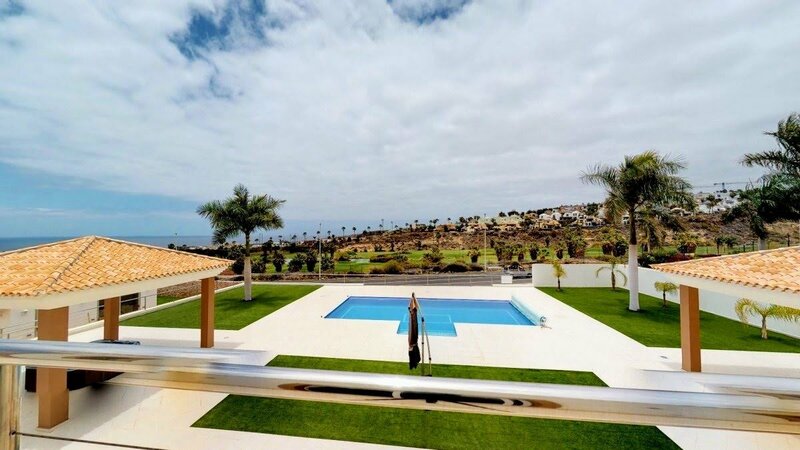 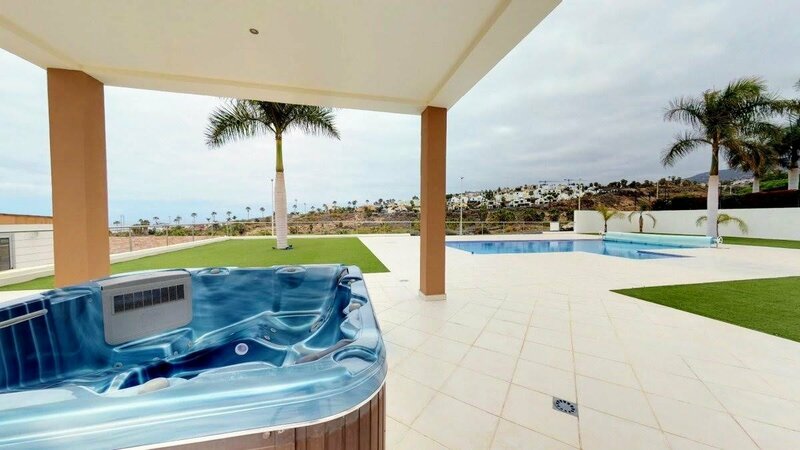 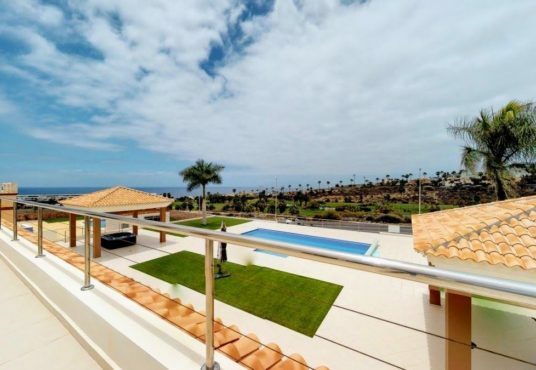 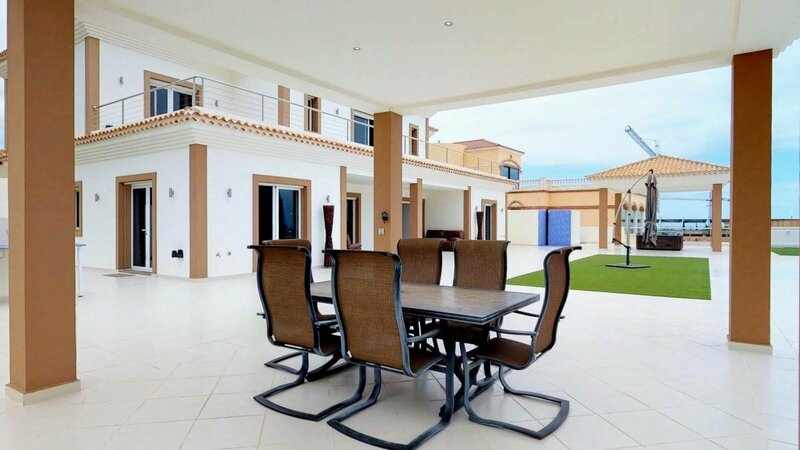 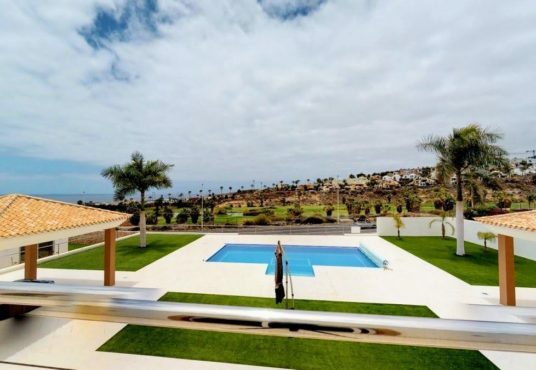 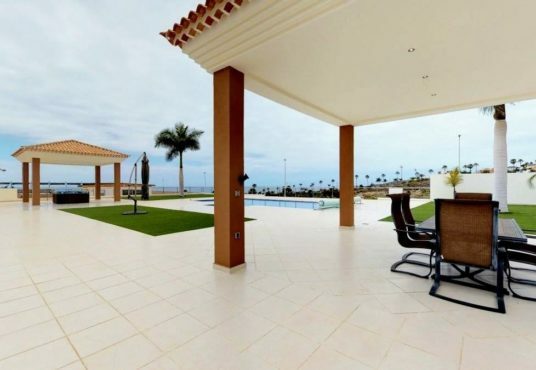 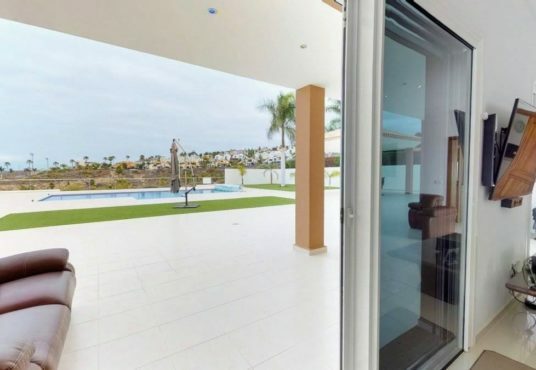 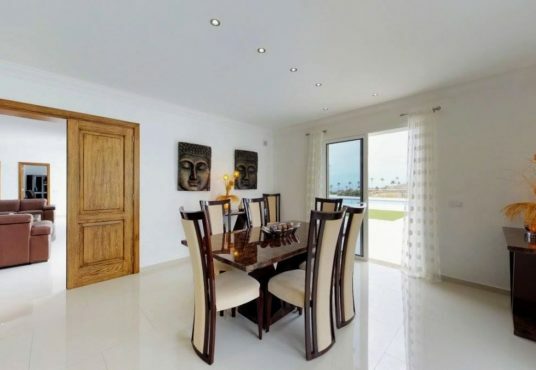 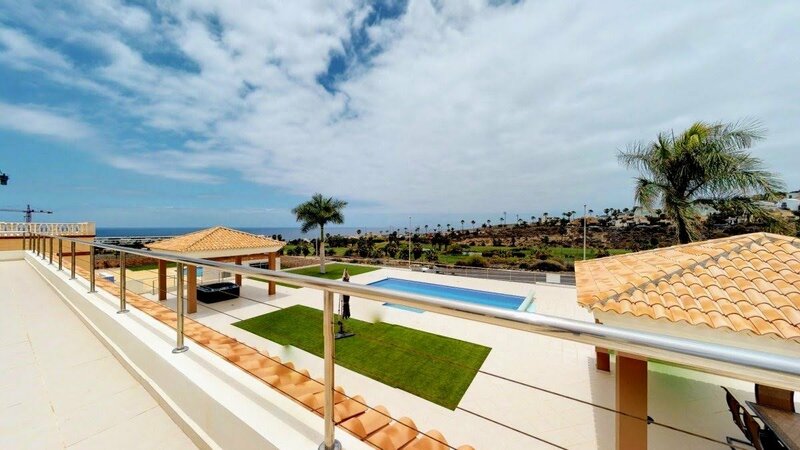 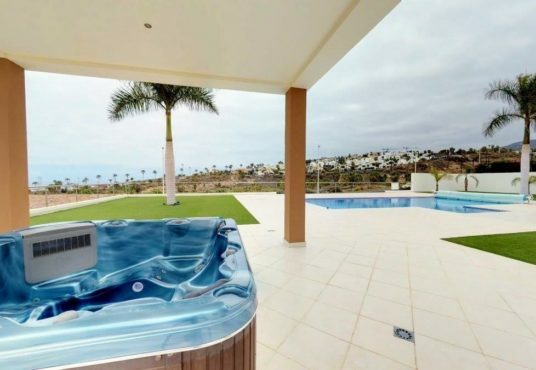 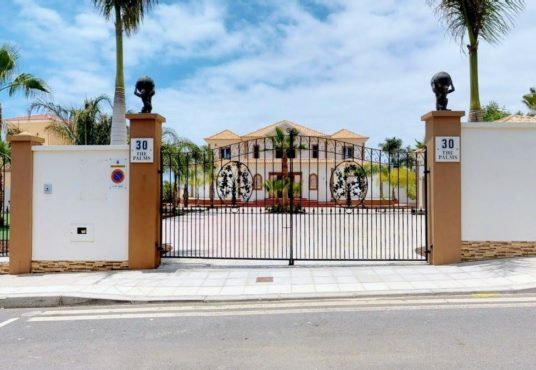 Introducing The Palms, in the exclusive area of La Caleta, an unrivalled estate exquisitely presented in front of Los Lagos, a 9-hole golf course of the Costa Adeje Golf. 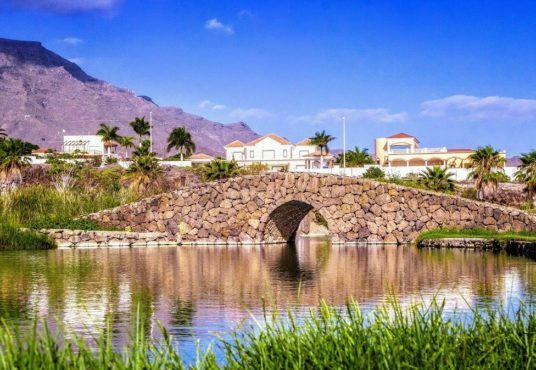 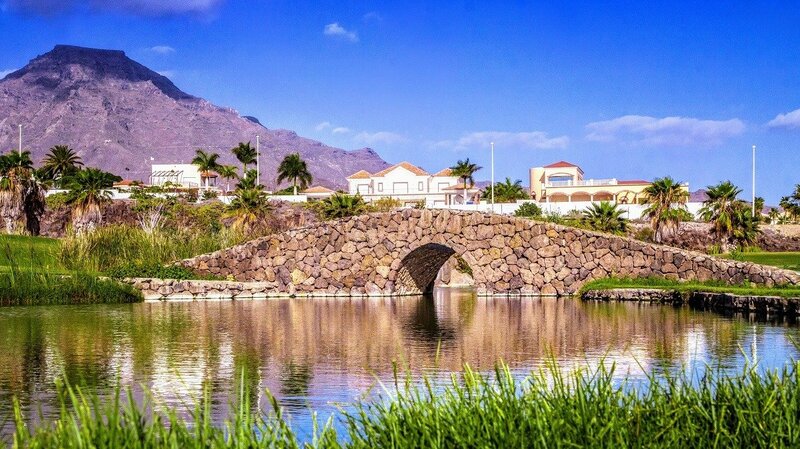 Wake up every day contemplating this tropical paradise with views that extend along the golf course to the ocean and the island of La Gomera. 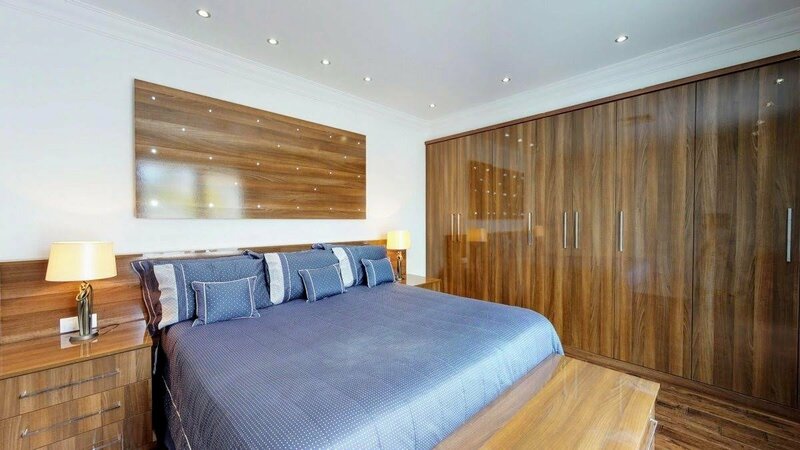 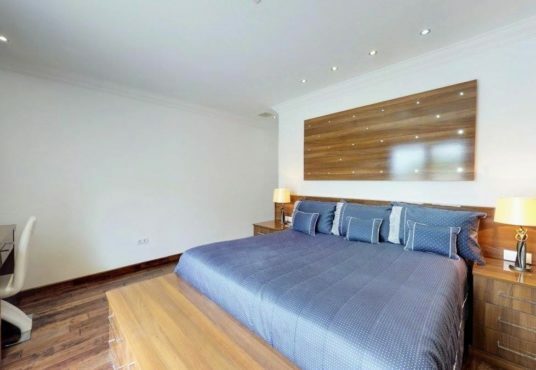 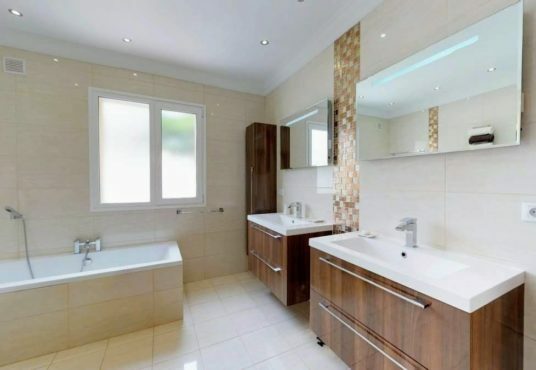 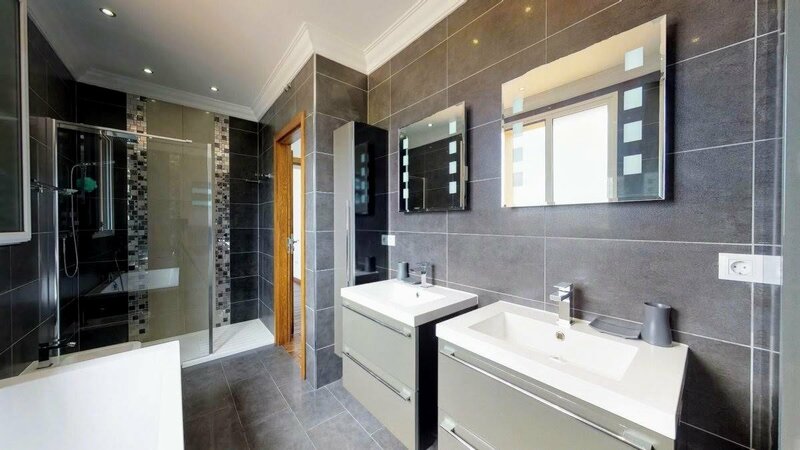 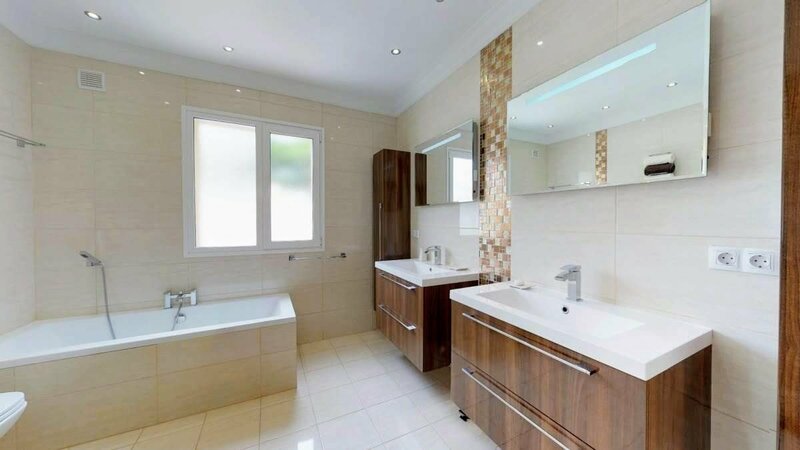 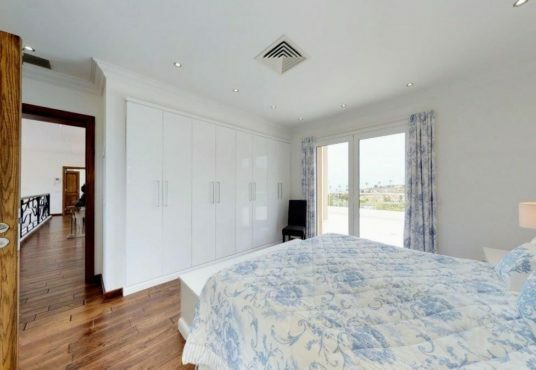 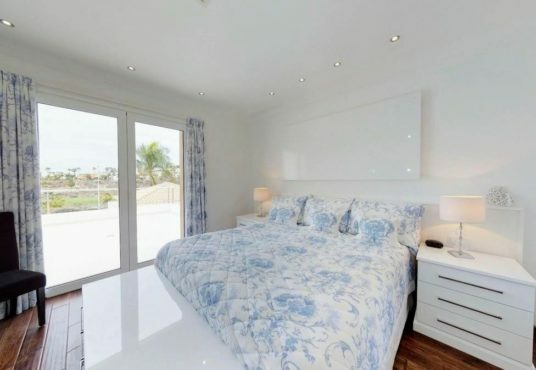 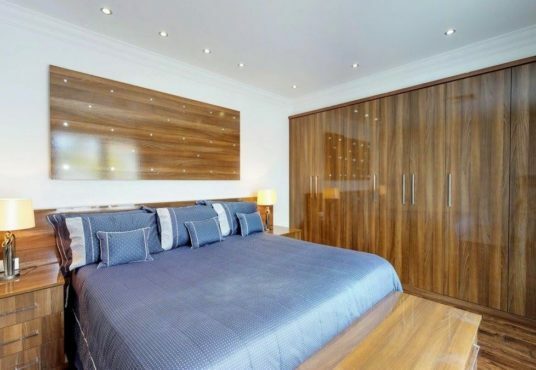 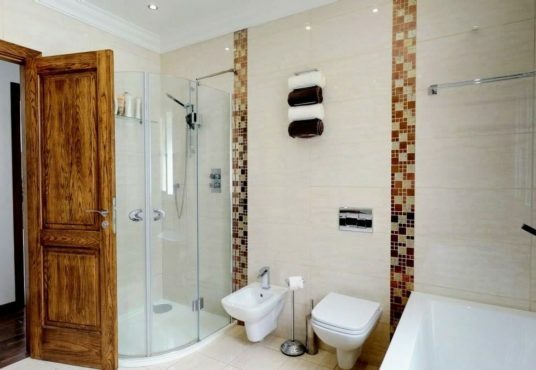 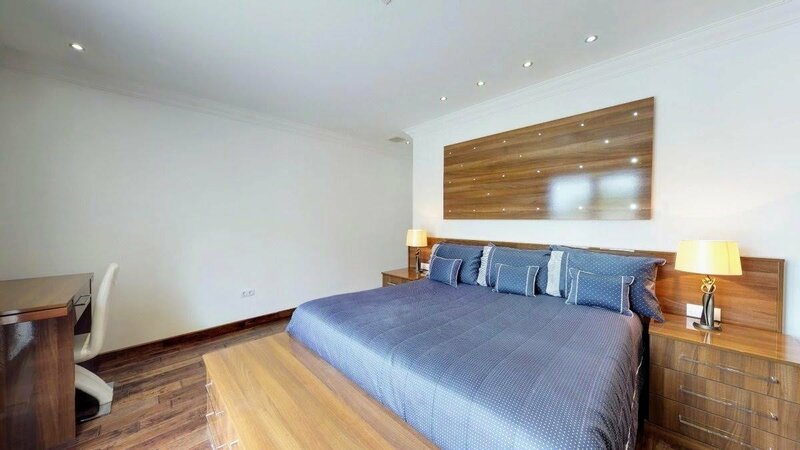 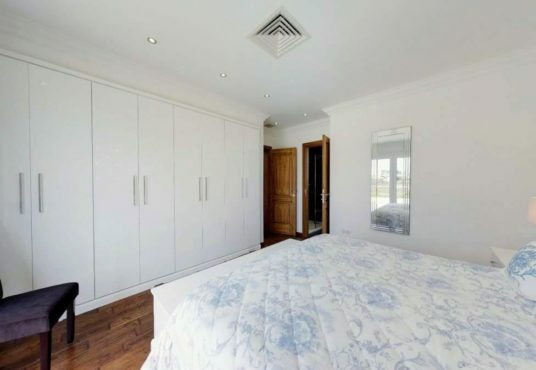 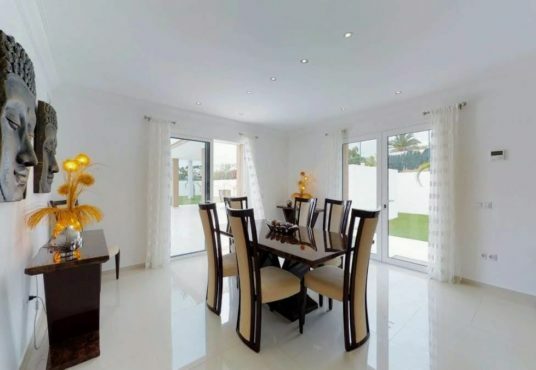 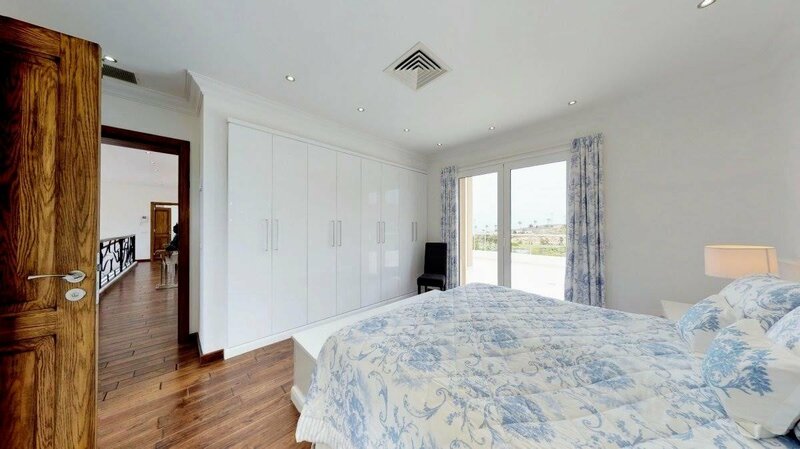 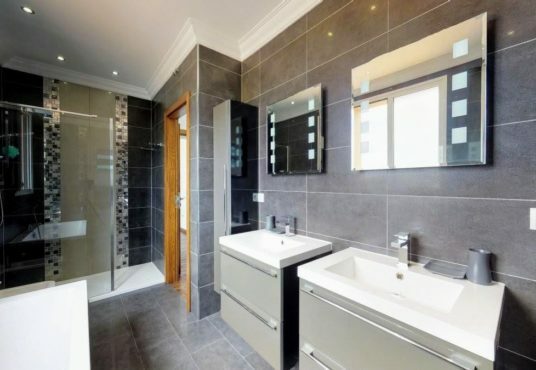 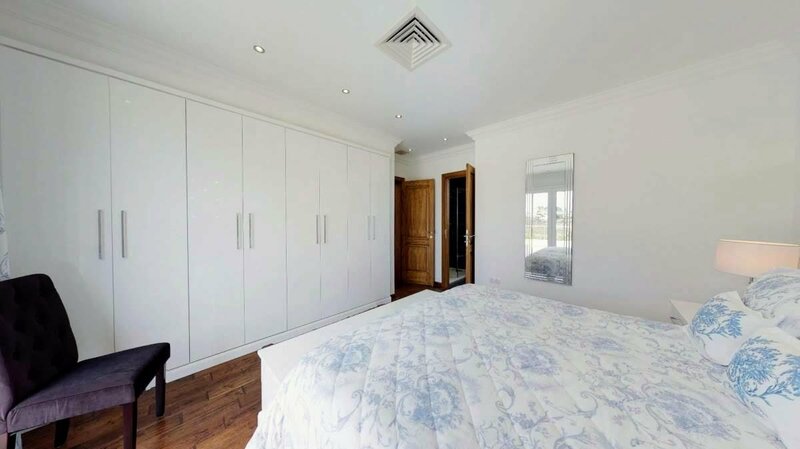 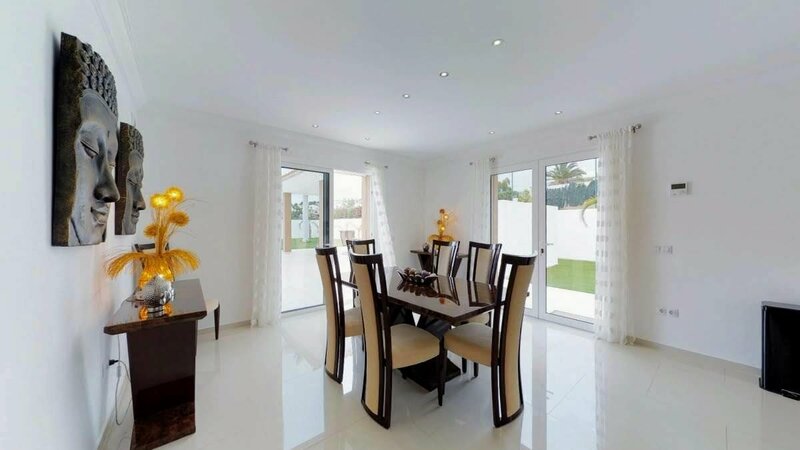 The Palms was conceived as a luxurious family home with spaces to meet all your needs. 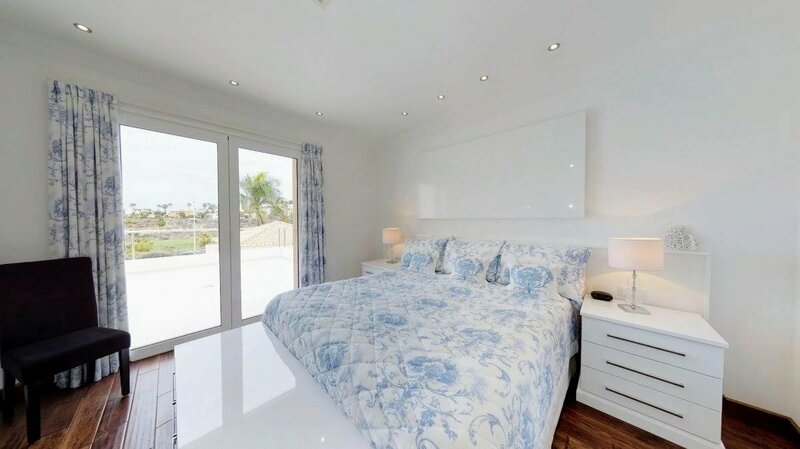 Built just 4 years ago with impeccable standards, the interiors of 343 square meters have all the modern conveniences imaginable. 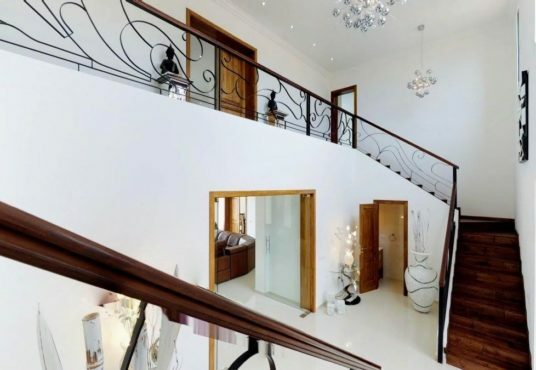 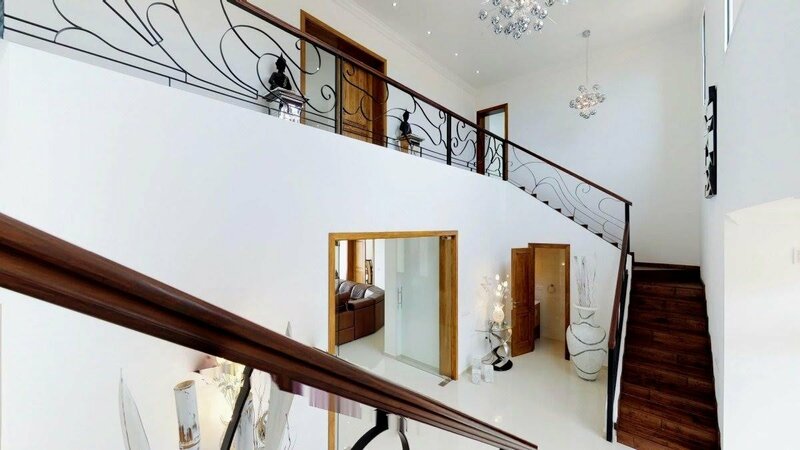 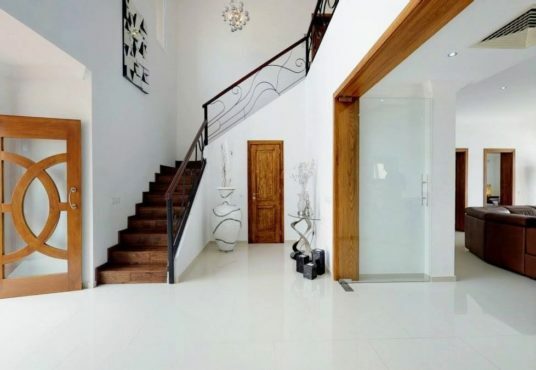 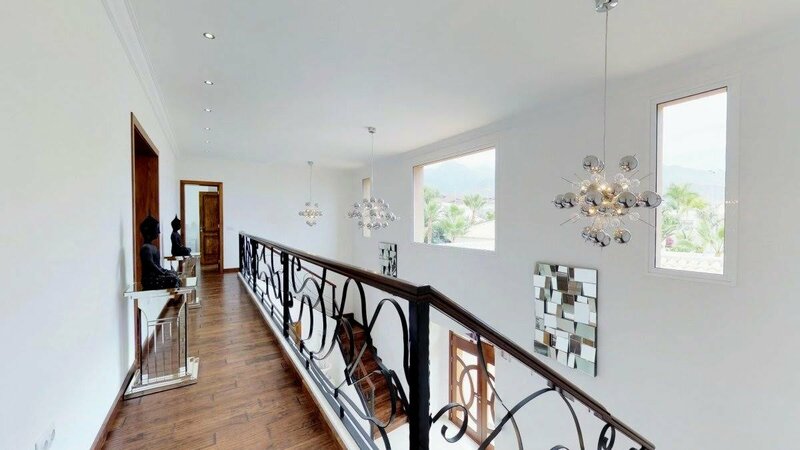 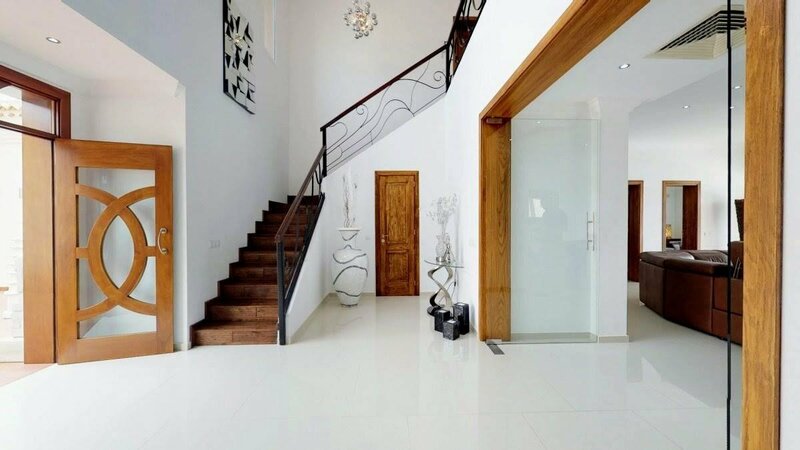 A large entrance full of light presents spaces provided with timeless elegance. 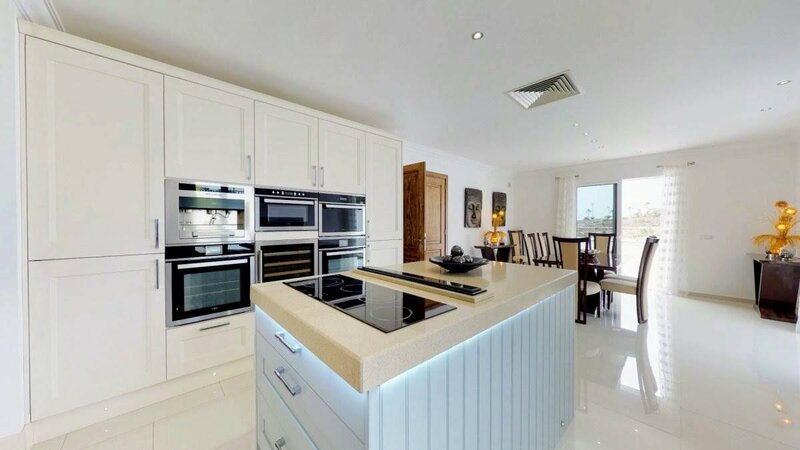 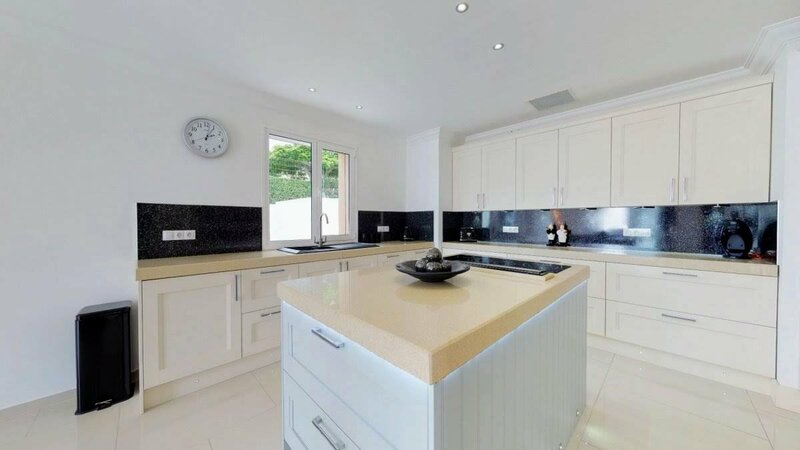 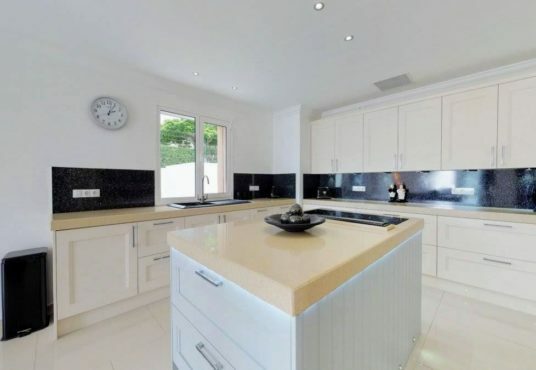 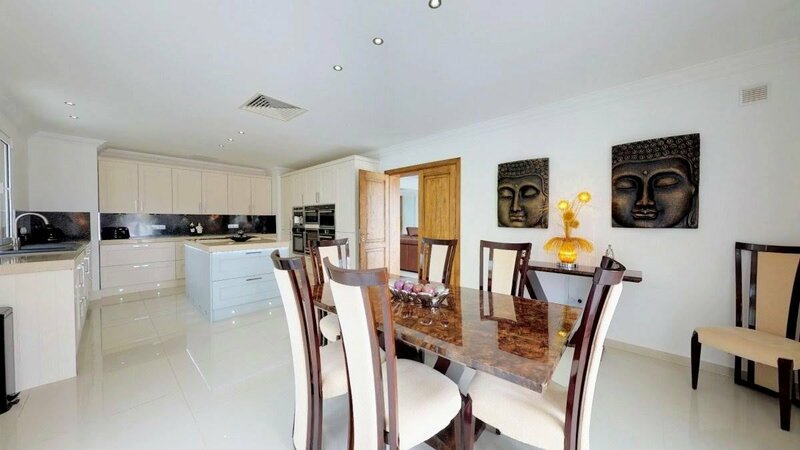 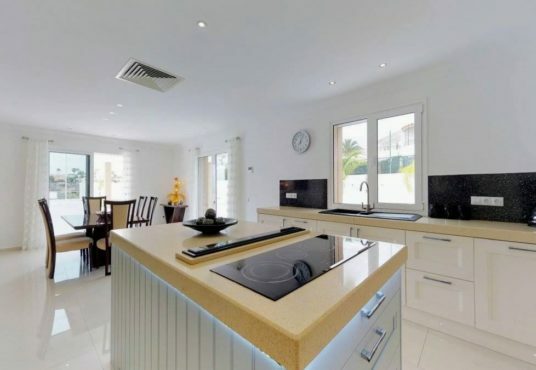 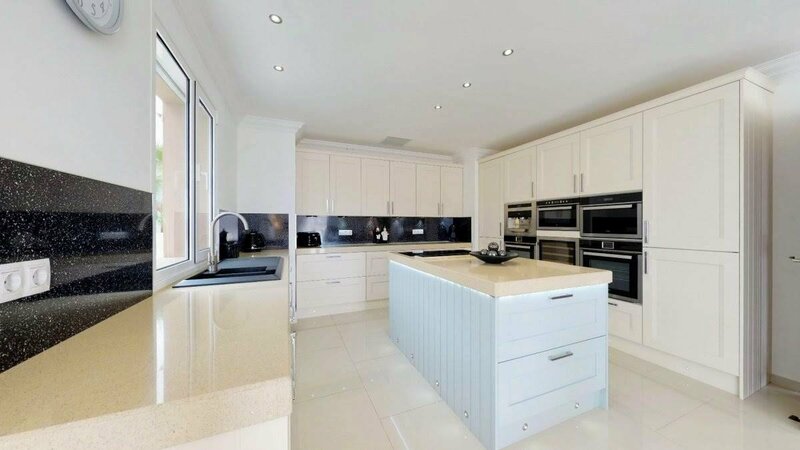 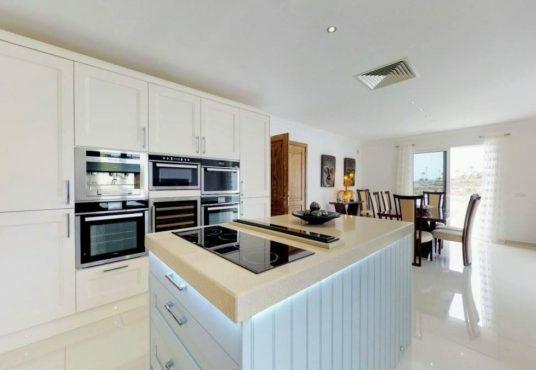 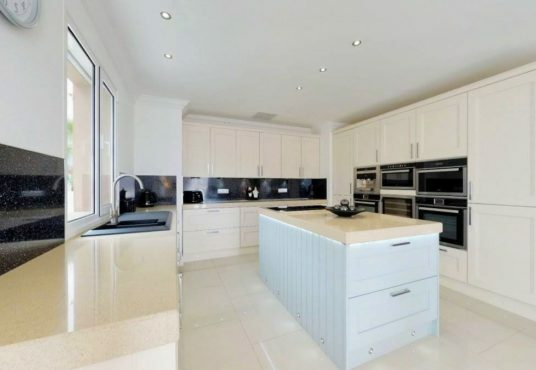 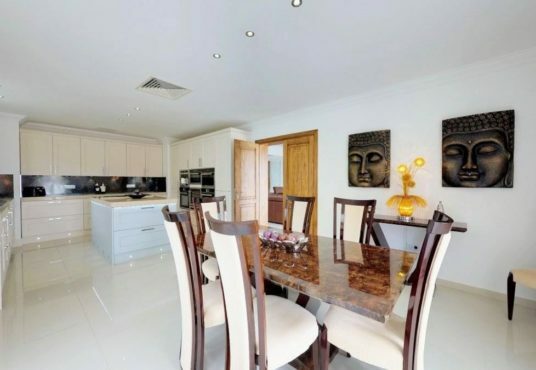 The extensive ground floor comprises two magnificent suites, a modern kitchen with island that leads to the dining room. 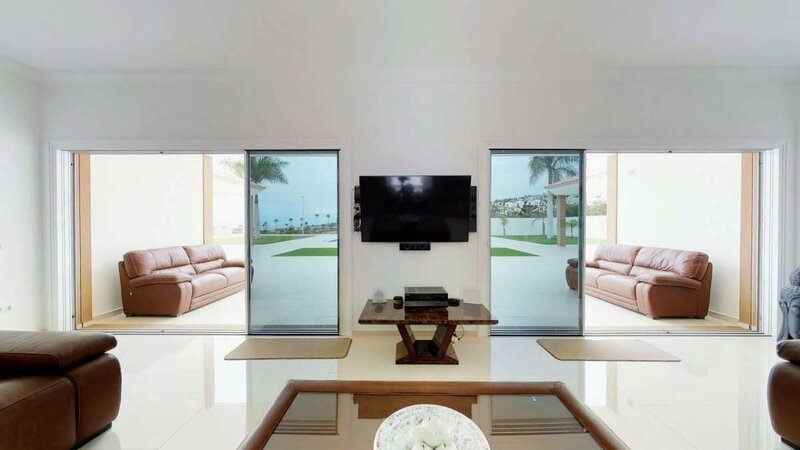 The huge and comfortable living room merges with the outdoor space. 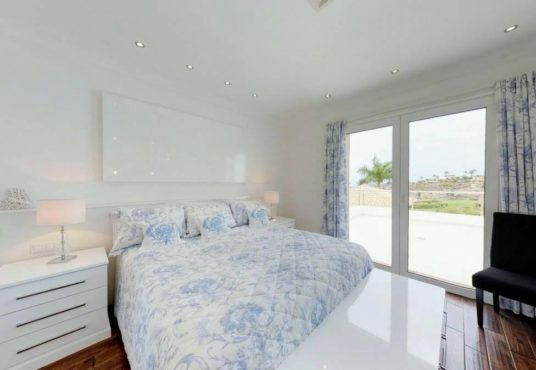 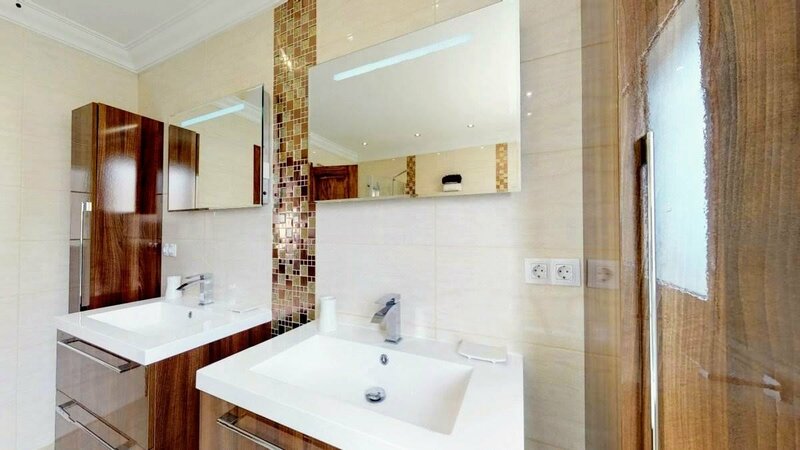 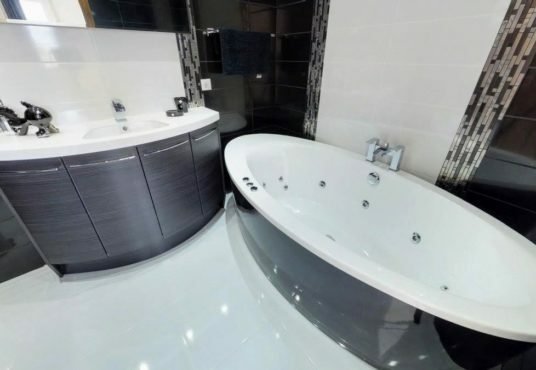 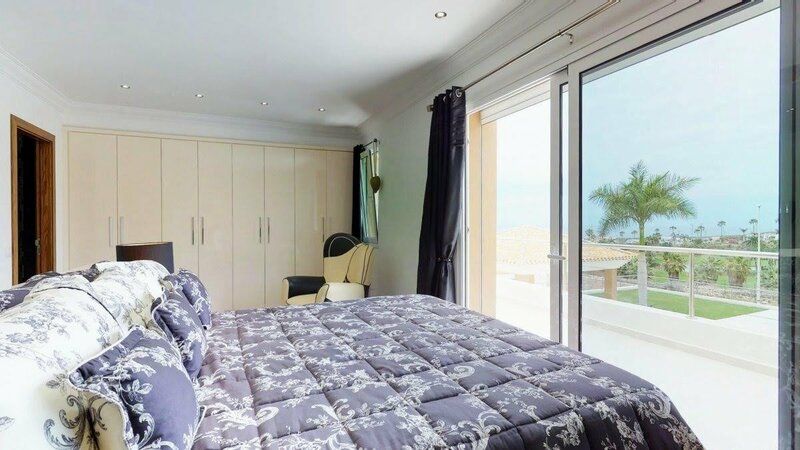 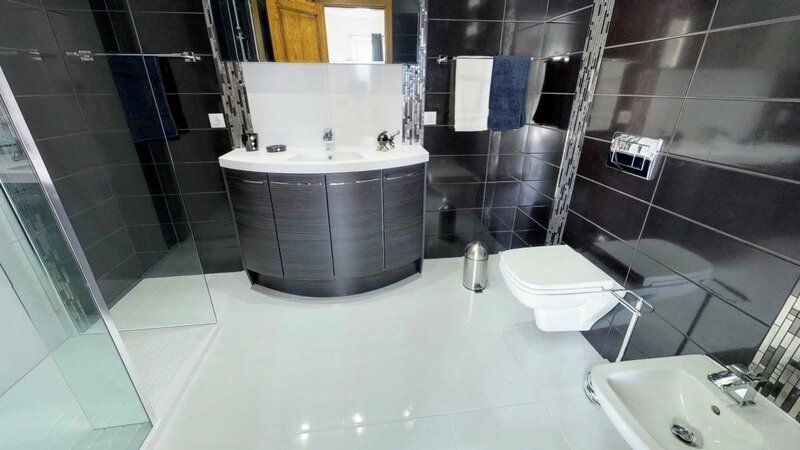 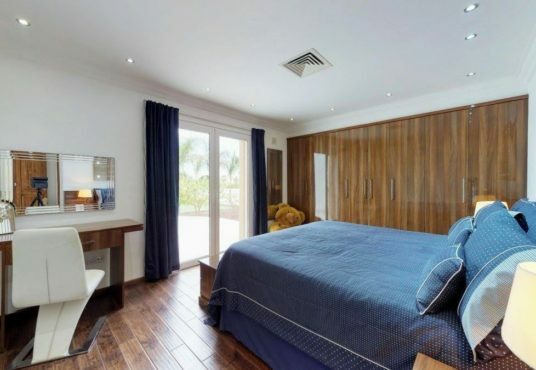 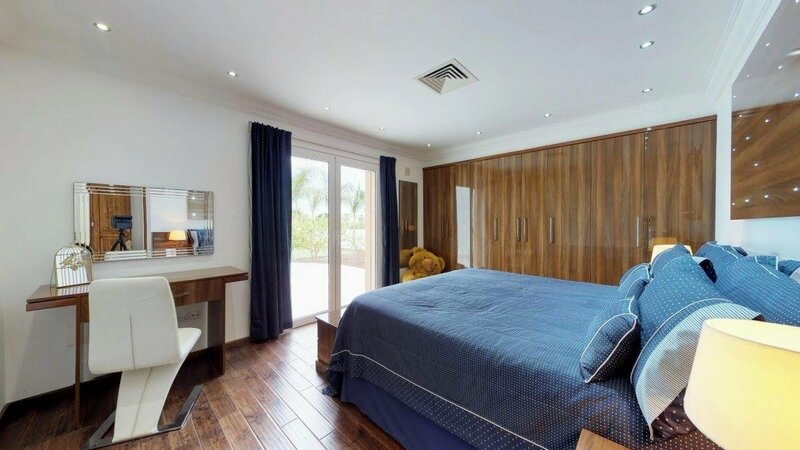 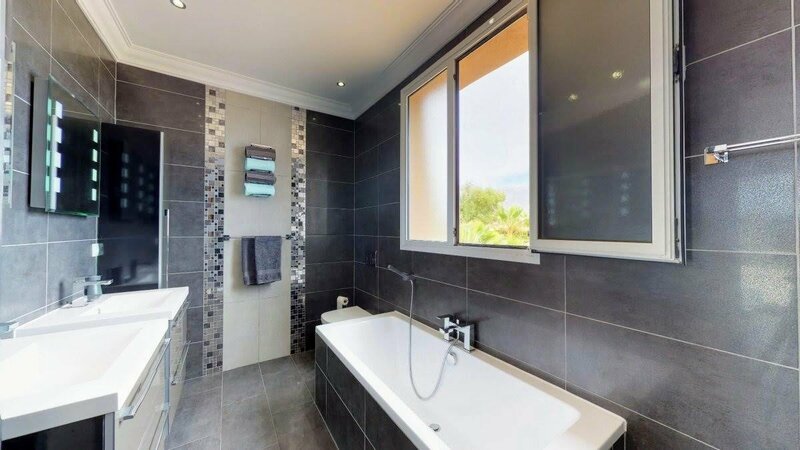 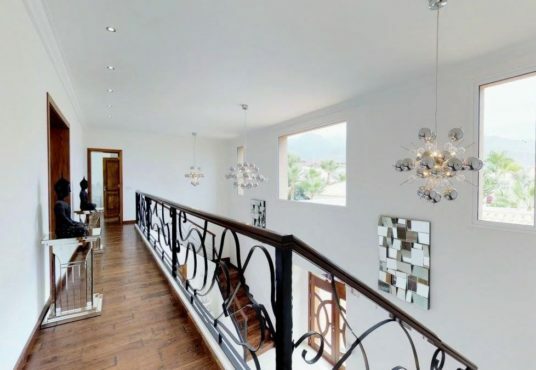 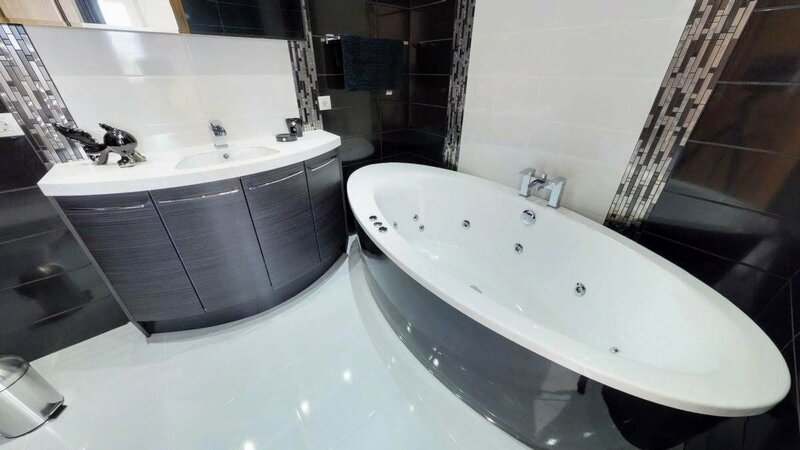 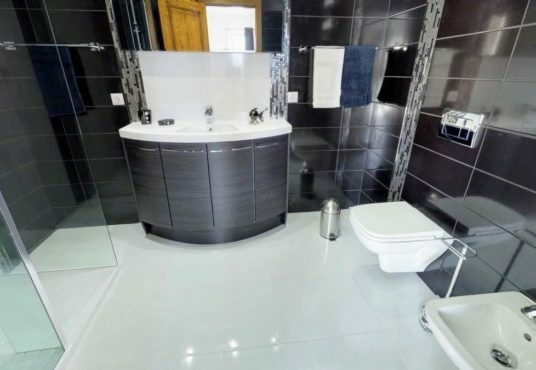 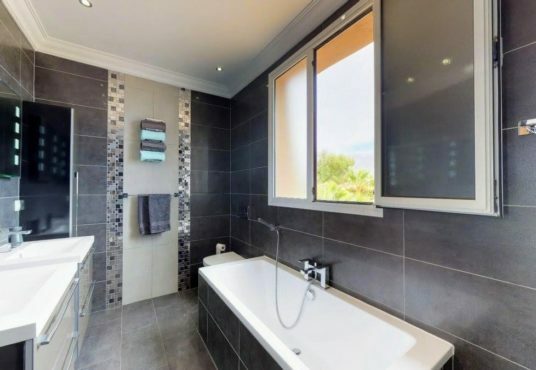 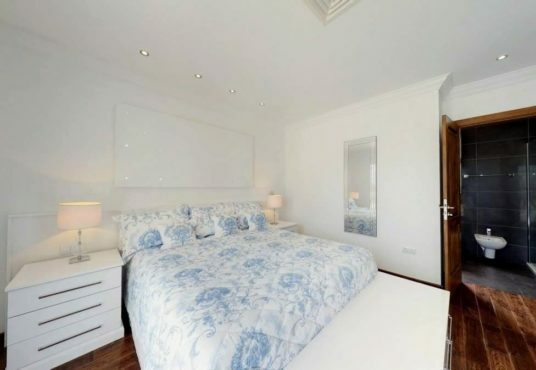 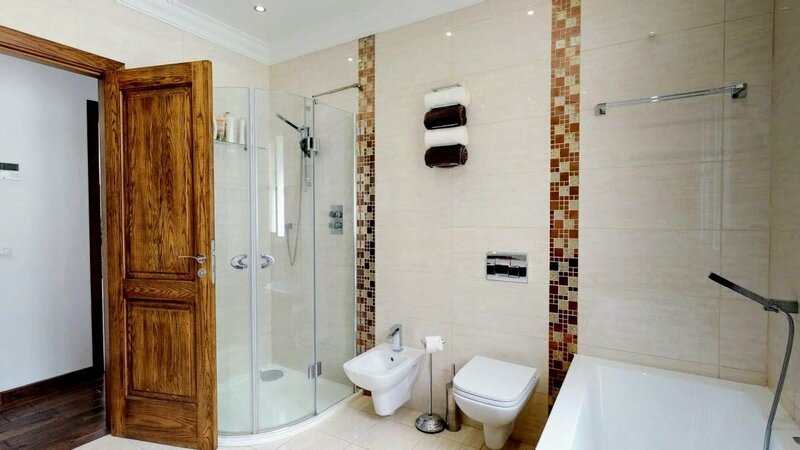 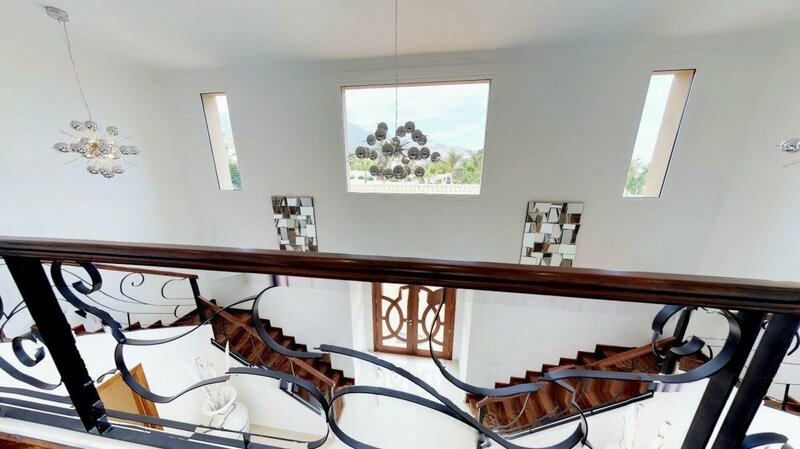 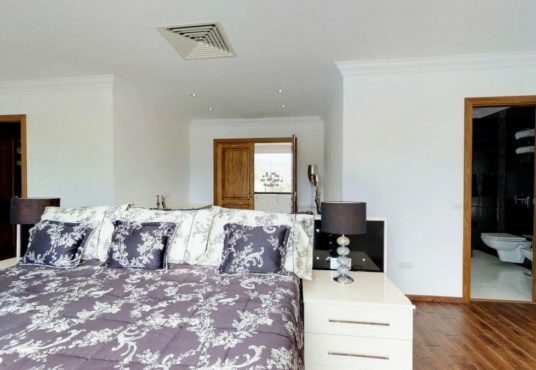 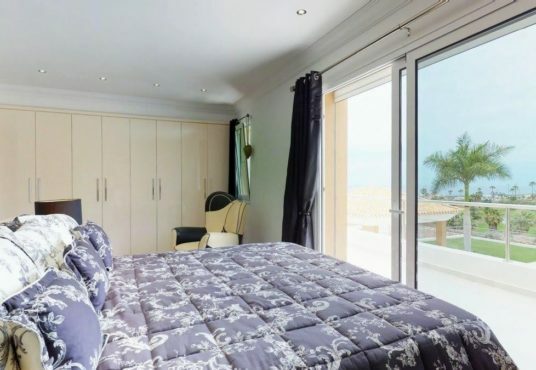 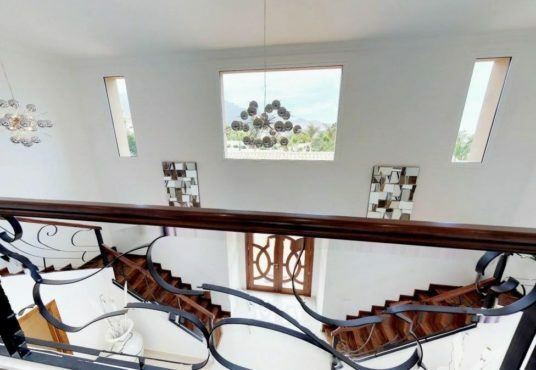 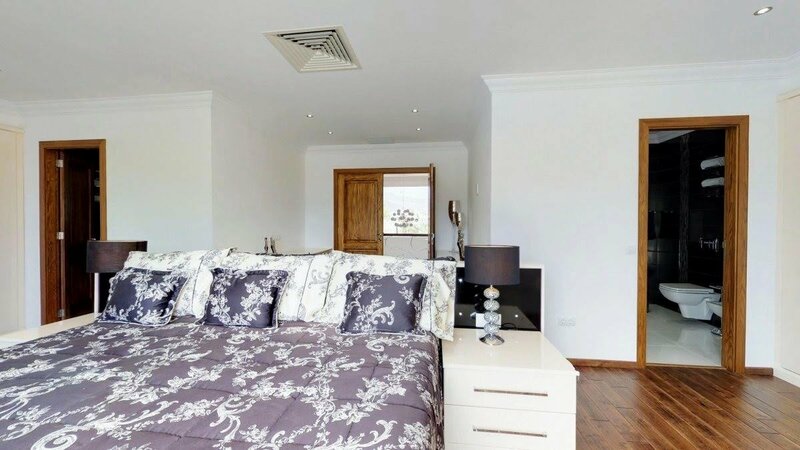 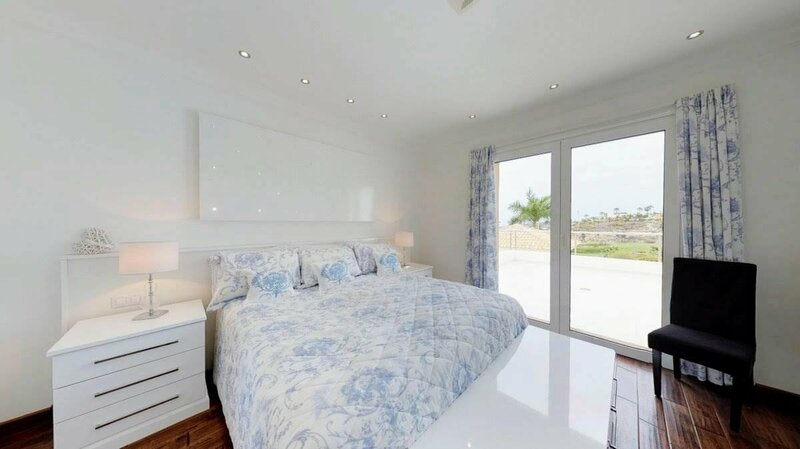 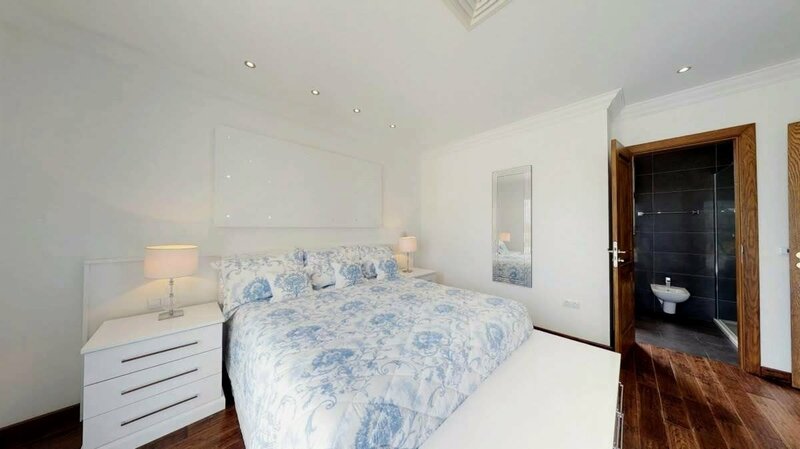 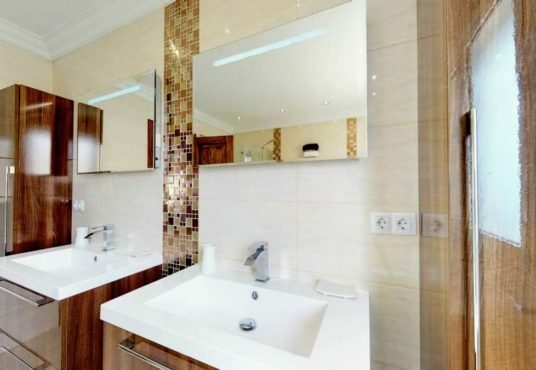 On the top floor three rooms surrounded by terraces to never waste the wonderful views, while the master bedroom offers two luxurious en suite bathrooms for him and her, one with Jacuzzi and the other with shower. 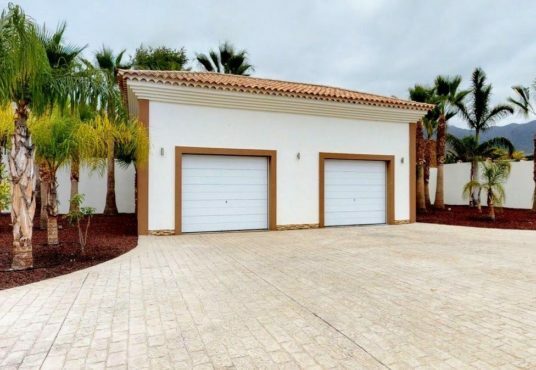 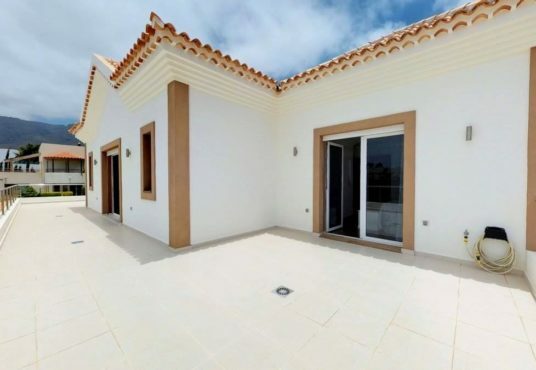 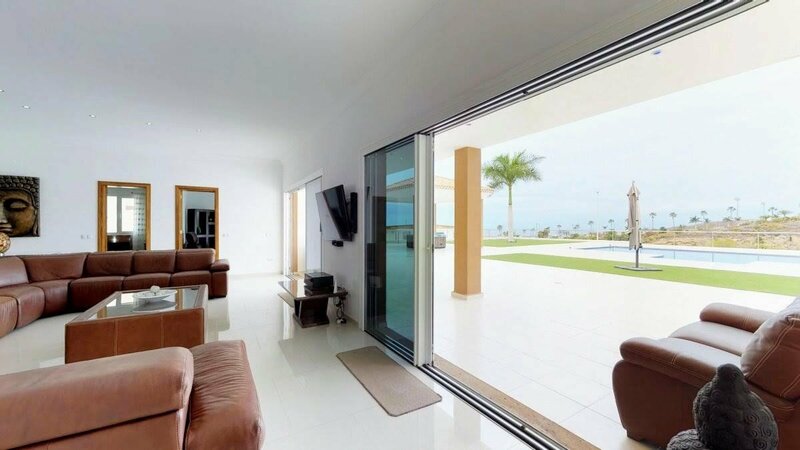 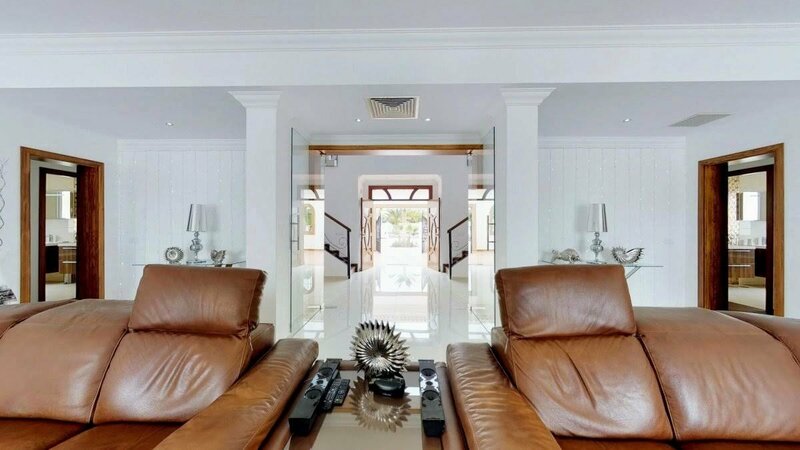 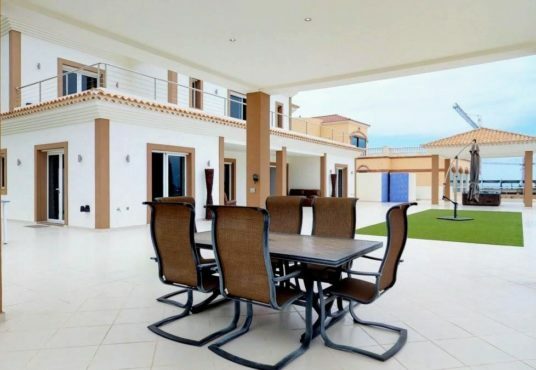 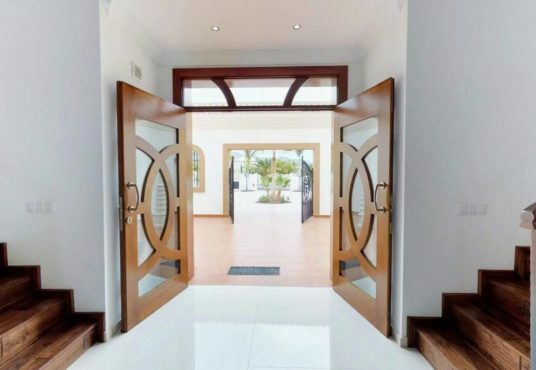 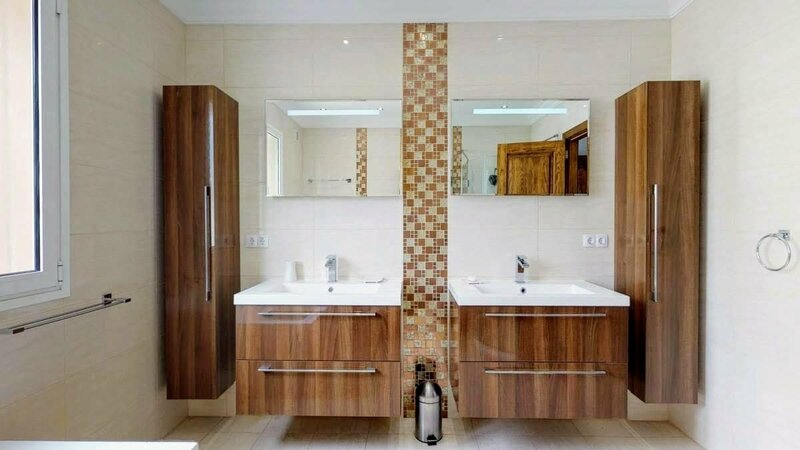 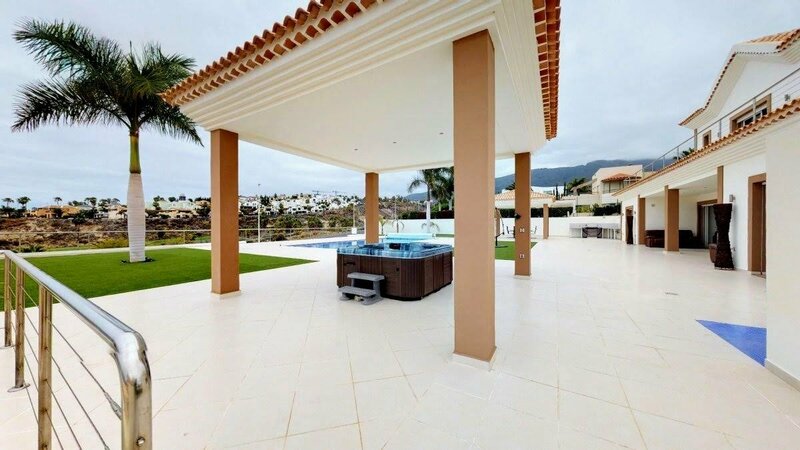 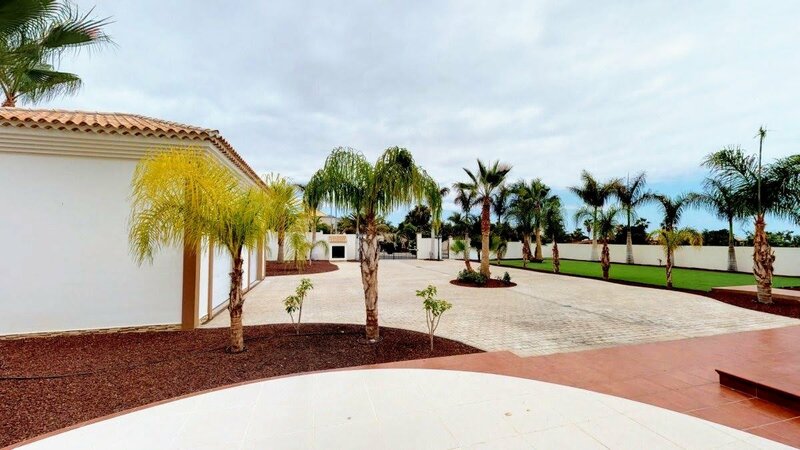 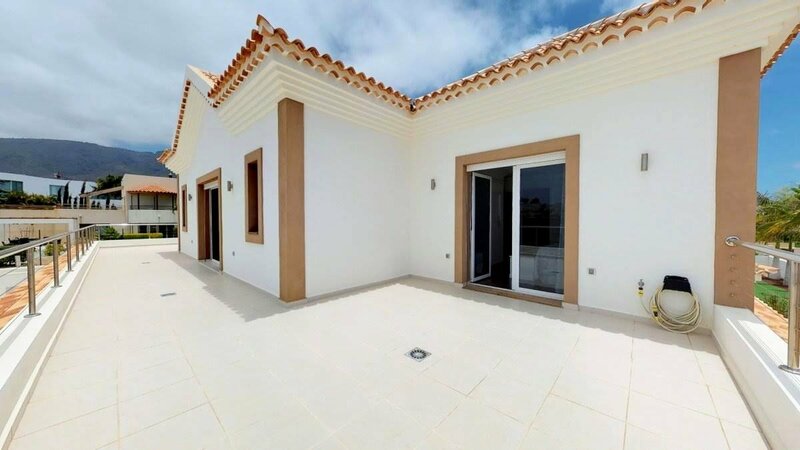 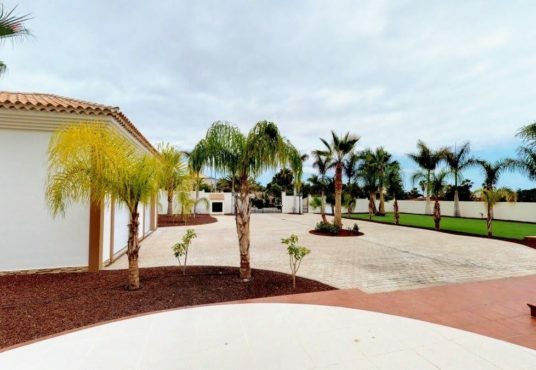 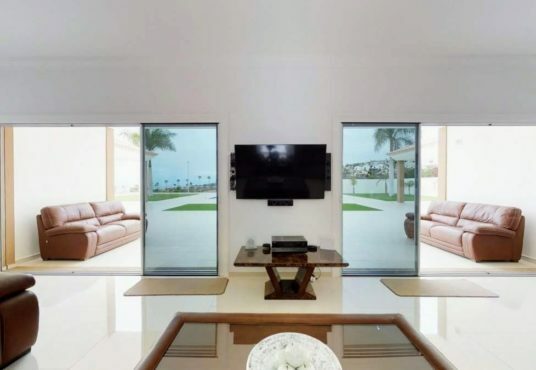 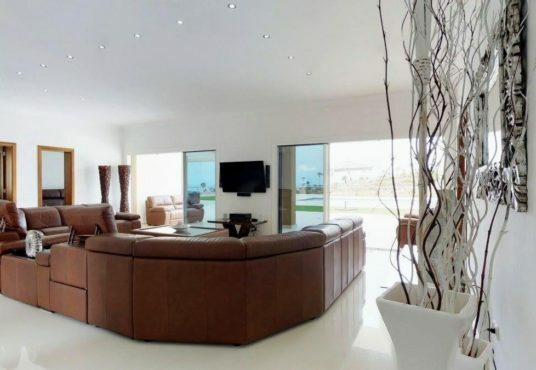 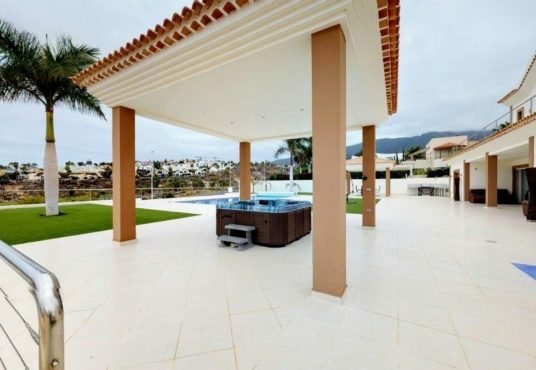 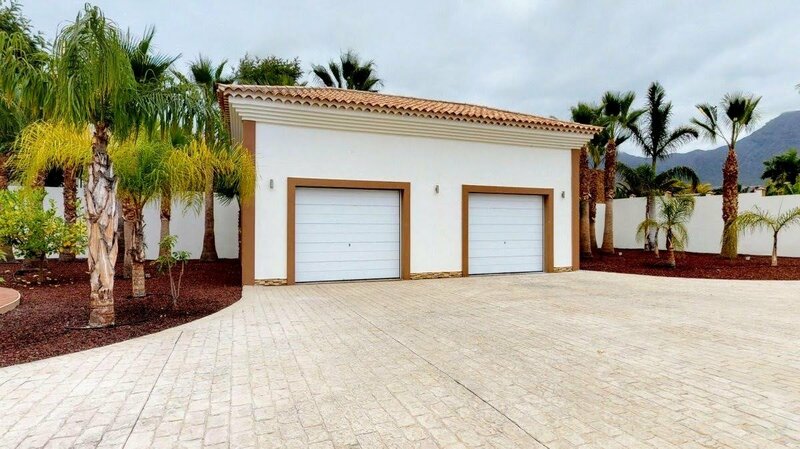 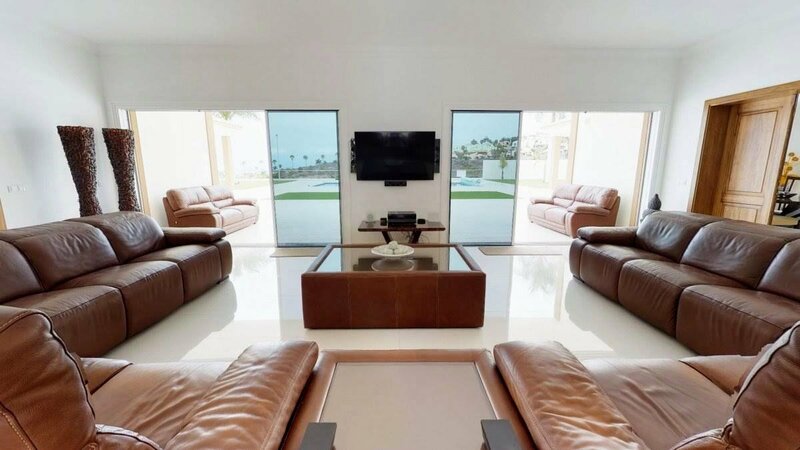 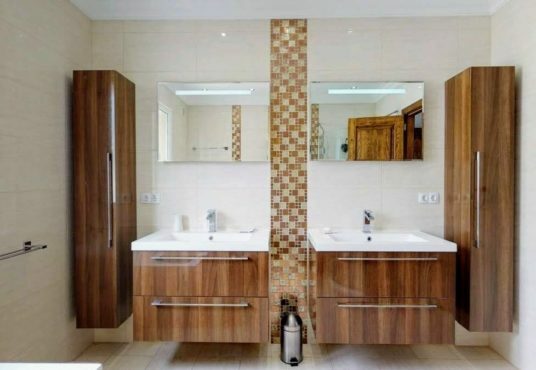 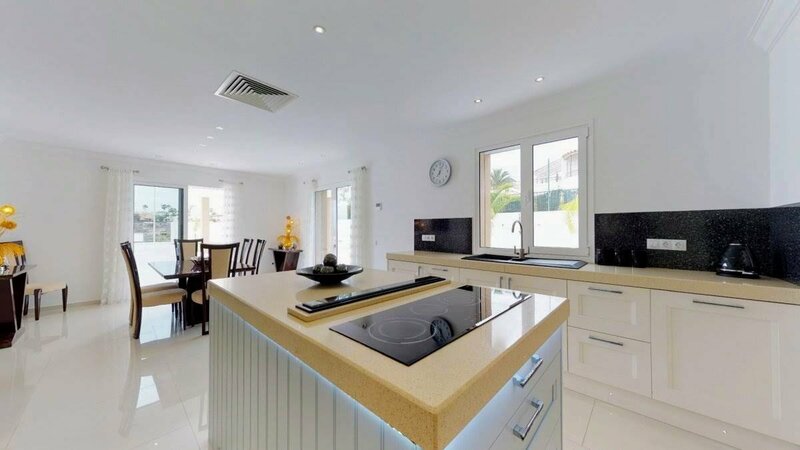 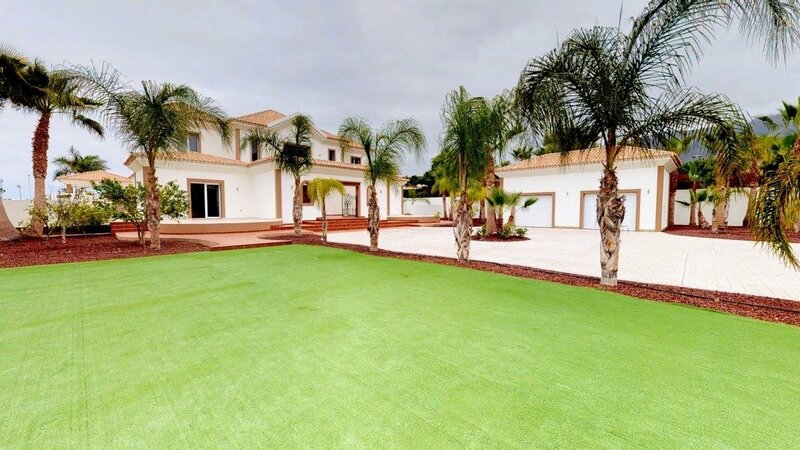 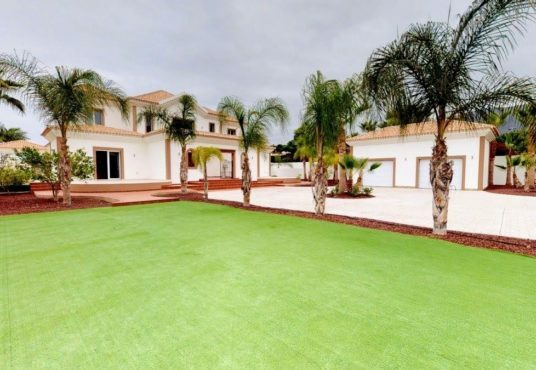 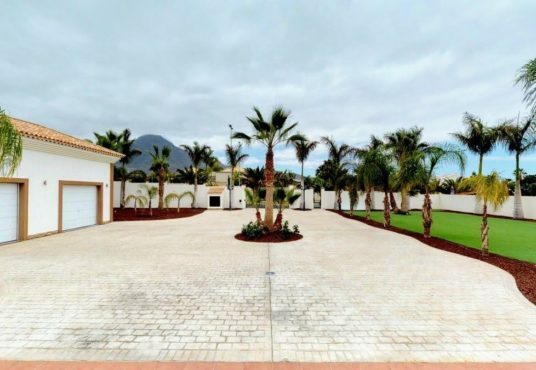 All this complemented by the heated pool that you will enjoy all year round, barbecue area and extensive gardens with more than 60 palm trees on a total extension of 2645 square meters plot. 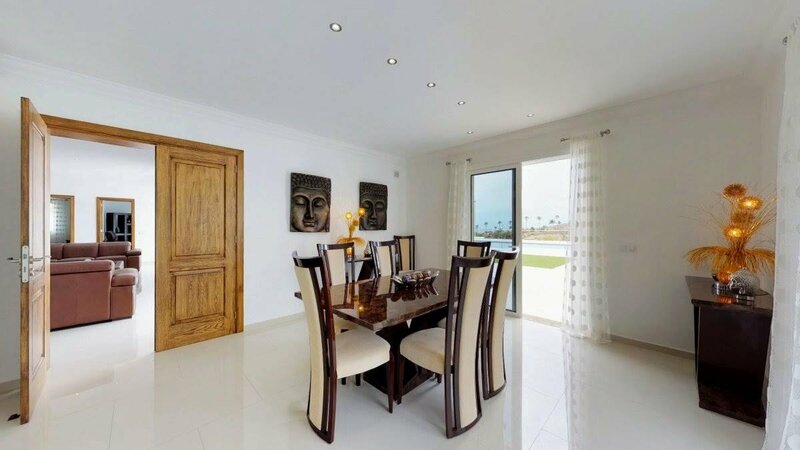 The photographs complete the history of The Palms, take the Virtual Tour and visualize yourself as the next owner.